We are always looking to improve our manufacturing techniques so as to improve speed and efficiency both on and off site. We are currently supplying factory filled panels to companies across the UK from our premises in Lincolnshire. The panels are filled with Kingspan or Celotex. 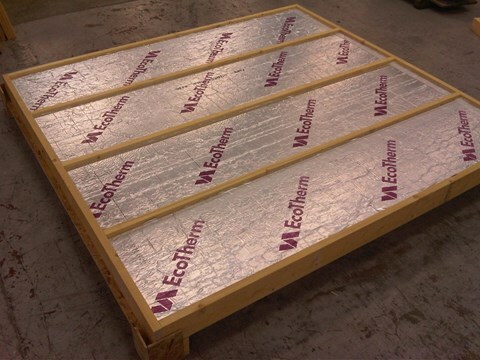 Factory filled panels enable the insulation to be fitted very accurately enhancing both the thermal efficiency and airtightness of the external wall of the building. A 140mm Timber Frame panel with 120mm of kingspan with a 50mm cavity and 100mm of brickwork gives a U value of 0.20W/m²K. 140mm Timber Frame panel factory filled with 120mm Ecotherm (PIR) insulation to leave 20mm service void.